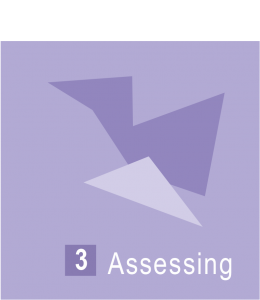 The third step is to assess the effectiveness of things we do. And to decide how to continue. What will you learn at this level? Why is feedback so important? How to receive effective feedback from those you work with on a cause and from those who you support? Why is it so important to measure the effectiveness of your giving and volunteering activities? How to measure the effectiveness of your good doing actions – for you personally, and for the organisation which you work at or have created? How to assess whether and to what extent you have been helpful with your donation or volunteering actions – for you personally, and for the organisation which you work at or have created? How to measure the change you have made – for you personally, for your organisation and for those who you support? How to measure the effectiveness of your giving and volunteering activities for people working at your organisation? How to create and establish an overall corporate social responsibility system and to include it into your corporate values? Contact me for arranging a consultation or coaching session. Or for receiving guidance how to proceed.